Printing and file sharing are the essential sectors for users, groups, organizations in a network. Like in a network, there are a large number of printers with different varieties and there are an enormous number of groups, users who need to use. 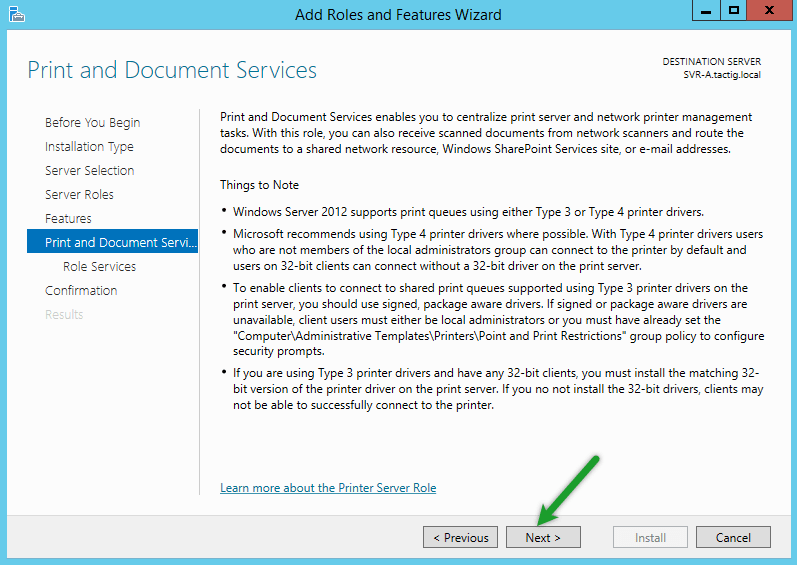 As an administrator, you should know how to install and configure print services in Windows Server to manage tens or hundreds of printers in a network. As most of the modern printers have a network interface card and Internet Protocol (IP) address can be assigned to the printers. Therefore, all users through the network can access and use them. One of the most handful features in print services is print pooling by which a number of printers are added to a pool. When one is performing a print job, other printers perform the next print jobs sent to them. As you can grant priority access to a printer from 1 through 99. When there are two print jobs in the print server, the user with higher priority will get the job done before the another. 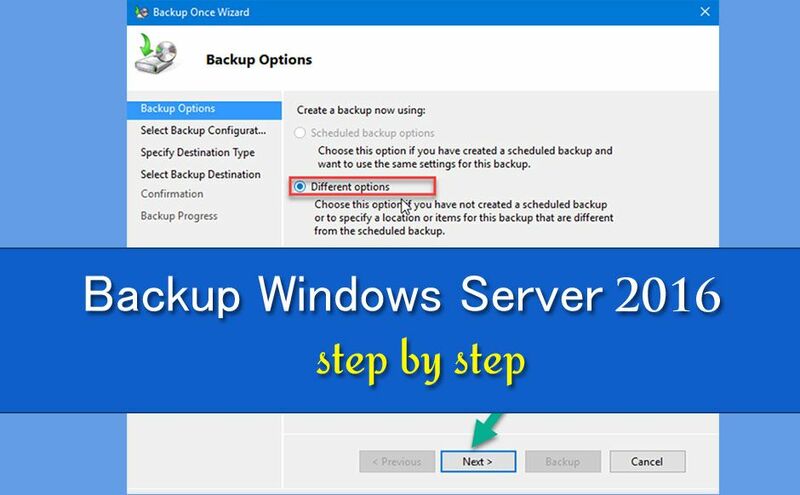 In this lesson, we will learn + understand how to install and configure print services fully in Windows Server 2016. Let’s get started. 1. Print Device: printer device is actual hardware that produces hard-copy documents on paper. 2. Printer: It is the software interface through which a computer communicates with the print device. 3. Print Server: It is a server or a standalone computer which receives print jobs from clients that are attached locally or connected to the network. 4. Driver: It is a device driver that converts print jobs generated by an application to appropriate string of commands for a specific printer. These are four fundamental configurations, you can configure a printer to work. As a result, the printer works depending on your configurations to print documents. 1. Direct Printing is the simplest way of using a printer device. That a printer is attached directly to a Server. The Server sends a print job to the printer, as a result, it produces the hard-copy document. 2. 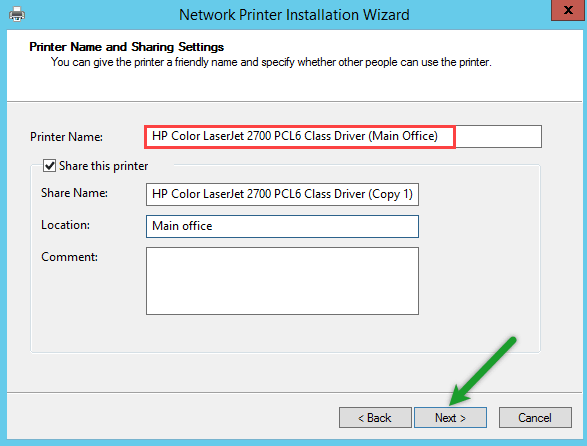 Local-attached printer sharing: Except direct printing, you also need to share printer and printer device with other clients on the same network. In this arrangement, the Server which is directly attached to the printer device works as a print server. Doing this, you can share the print server’s printer. Consequently, the clients can use the print device through server’s print interface. As a result, the advantage of this arrangement is that everyone from everywhere in the network has access to the printer device. Also, it is handful when you have light printing jobs. 3. Network-attached printing: Unlike the previous kinds of attaching the printer device with computer by USB or other port, here you don’t need to attach them. Instead, you can attach a printer device directly to a network. 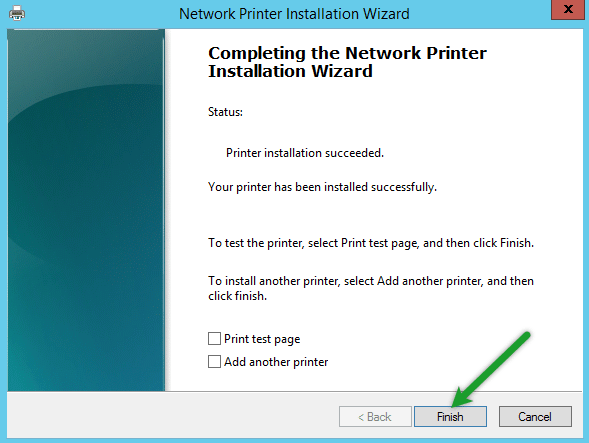 As a result of attaching printer device to a network, it becomes the network component. Most of the printer devices nowadays have network interface card (NIC) which allow you to attach a network standard cable to it. Due to this capability, a print device can have their own IP addresses. Also, you can buy NIC card separately and attach to a printer device. 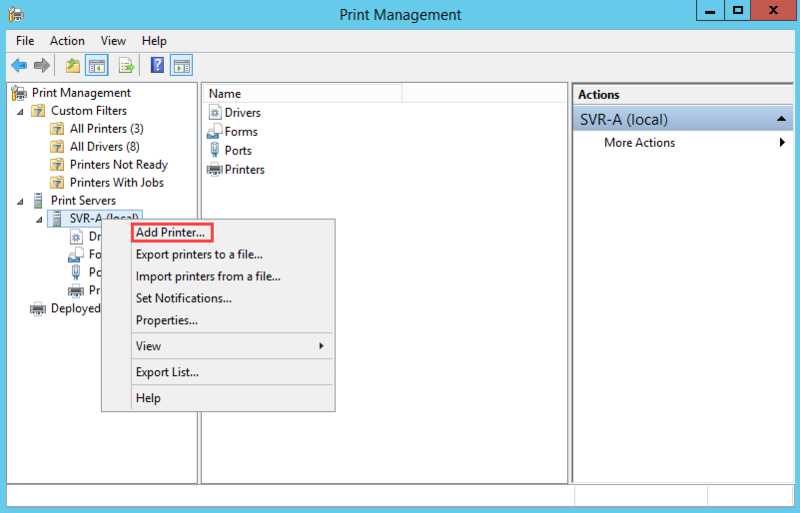 If the printer device has none of this capabilities a standalone print server is possible to be used. Users examining the print queue see only their own jobs. the print device completes their jobs. has its own print queue. offloaded to an external print server. 4. Network-attached printer sharing: In this method, you assign a computer as a print server and use it to serve clients means when you install a printer on a computer(that becomes the print server), you will share it on the network and configure it to access the printer directly through TCP (Transmission Control Protocol) port. When done, you just share the printer for the clients and manage them for accessing + managing. 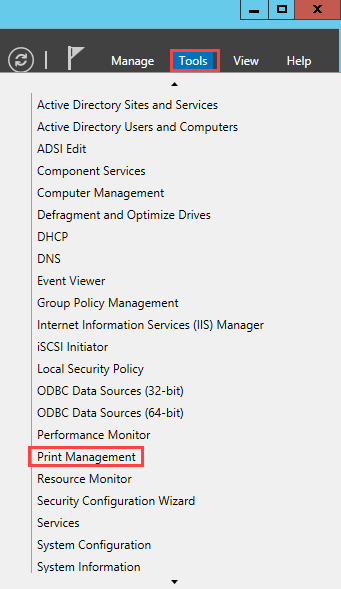 First of all, we need to install Print and document services role on Windows server 2016. 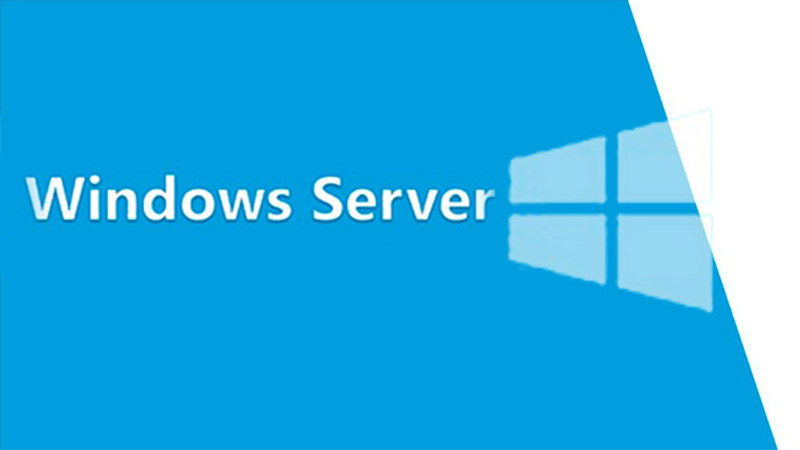 Consequently you can use Windows server print services. 1. 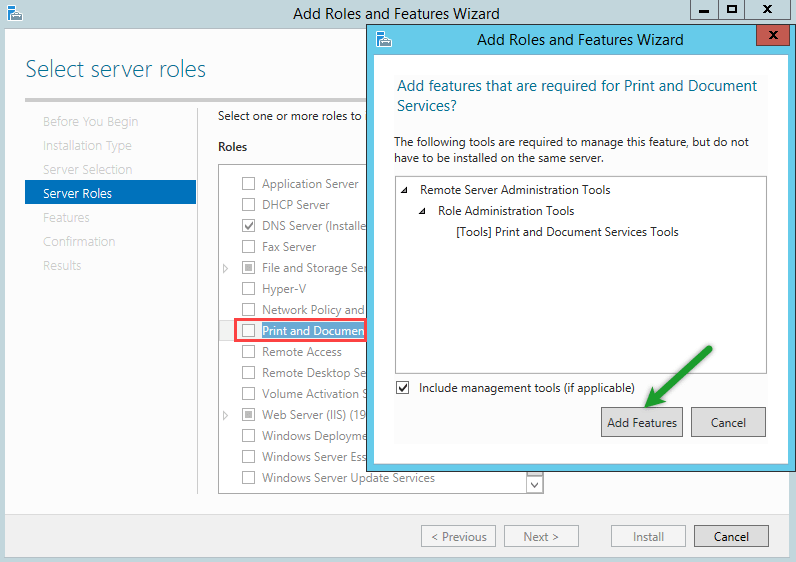 Open Server Manger and click on Add roles and features to install Print and document services role. 2. In the Welcome we’ve got nothing to do at all. Click on Next button. 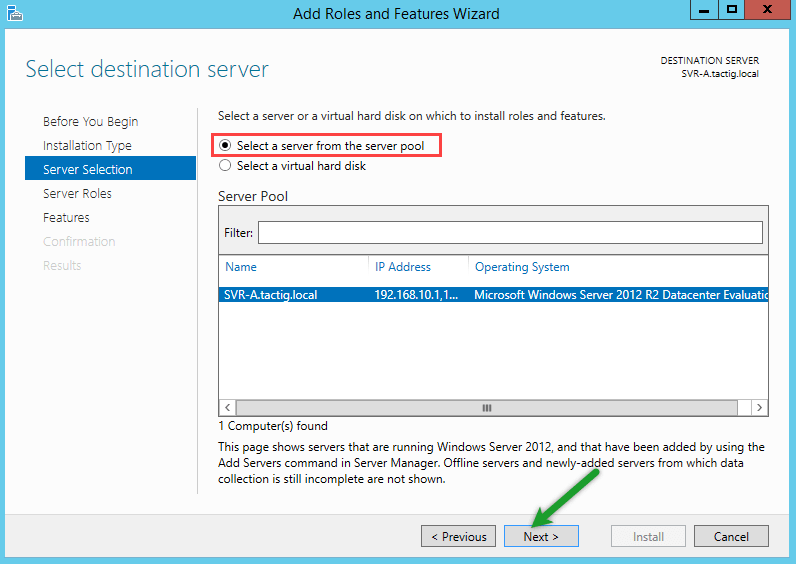 In Select destination server page, elect the Select a server from the server pool. 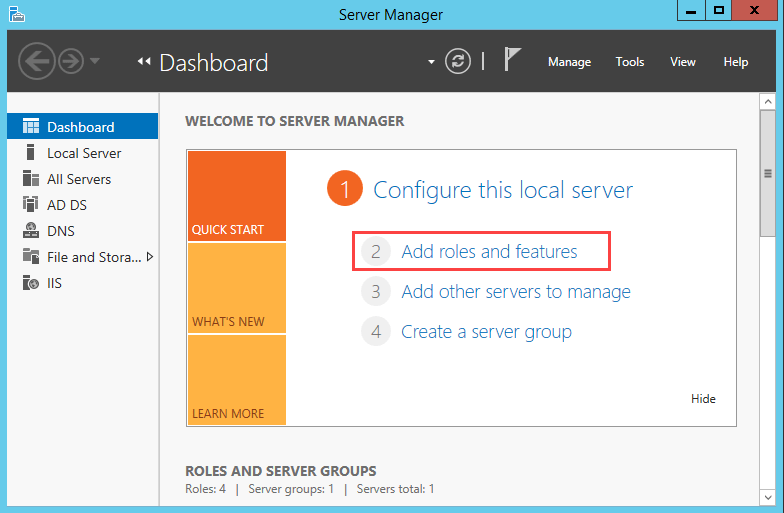 Select the server you want to install the role on from the list below. Click on Next button. 3. Put a check mark in the box next to Print and document services. 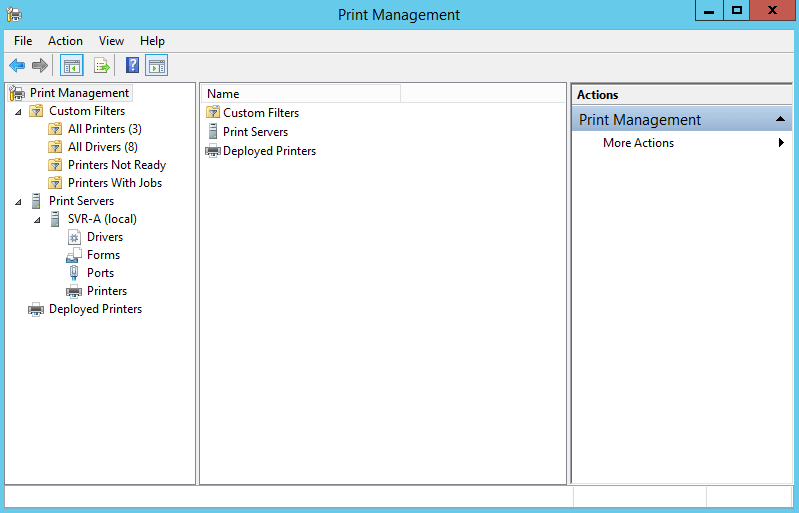 A small windows pops up and wants you to add some features for print services management. 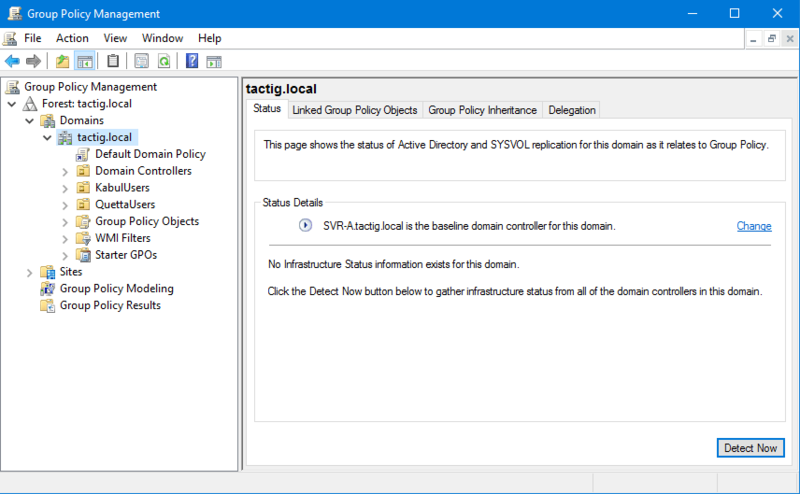 Click on Add features to install management tools. If you don’t install the management features, you just install the core service. 4. In the Print and Document Services page, provided essential information about the services to be noted. Finally click on Next button. 1. Print Server: It is the actual print server. Selecting this option you can manage print services components as printers and drivers and furthermore things. 2. Distributed Scan Server: allows you to send scanned images to specific users or groups in the domain. 3. Internet Printing: It creates a web page and gives the access to printer clients using printers through IIS web server. 4. 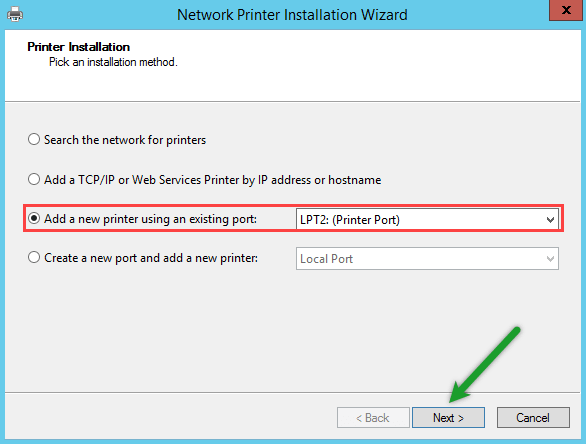 LPD Service: This option enables UNIX clients running line printer remote (LPR) to send print jobs to Windows printers. I install only Print Server. 6. We’re almost done. 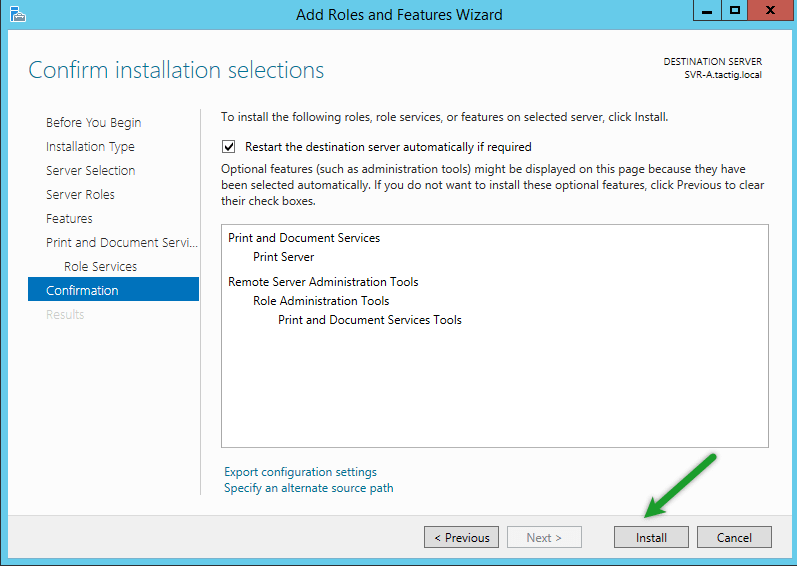 Click on Install button for installing the role on server. No reboot is needed. First of all we need to add some printers and drivers on the server and manage them. 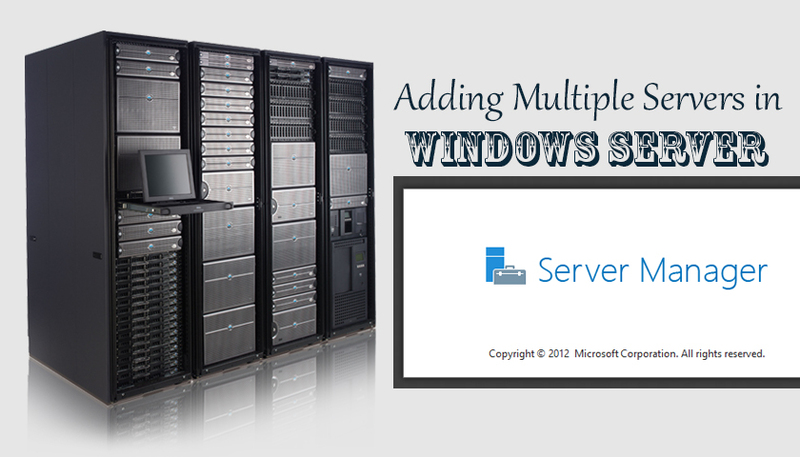 Open Server Manager, click on Tools dropdown menu and select Print Management services. Using this tool we can add and manage print services easily. All Printers: It shows the list of all printer connected to the domain from all print servers. All Drivers: You can see a complete list of all drivers available for your clients through all the domain. Printers Not Ready: It shows you list the servers which are not available to clients. They don’t work, fix them. Printers With Jobs: Shows the list of printers currently doing print jobs. Below Custom Filters another option is visible by the name Print Servers. 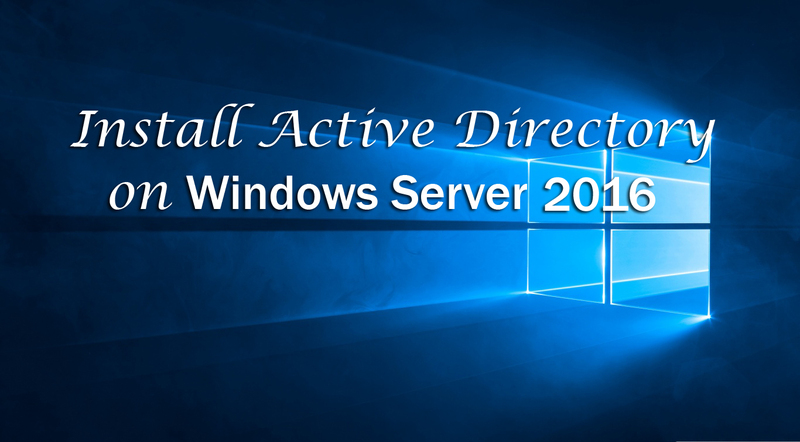 Expand it to see all the print server in your domain. You can add all print servers in the domain here for easy management. Just right-click on Print Servers and select Add Server and go on. You can see the same options like drivers and printer below the SVR-A server as the below Custom Filters. So the difference between this and the Custom Filter is that which the printers shown below the filter is the list of all printers in the domain. The printers below the Print Servers is the list of printers installed on each print server. 1. 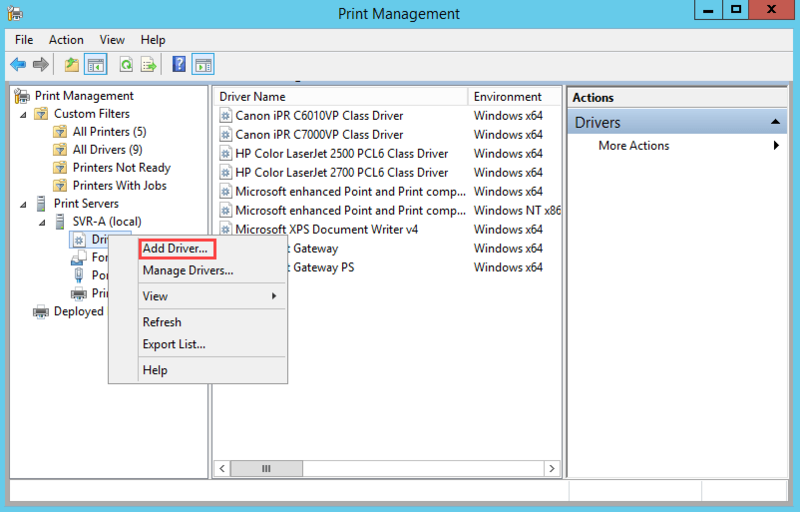 Print Management tool opened, expand Print Servers and right-click on the server and select Add Printer option. 2. In the Welcome page we’ve nothing to do so just click on Next button. 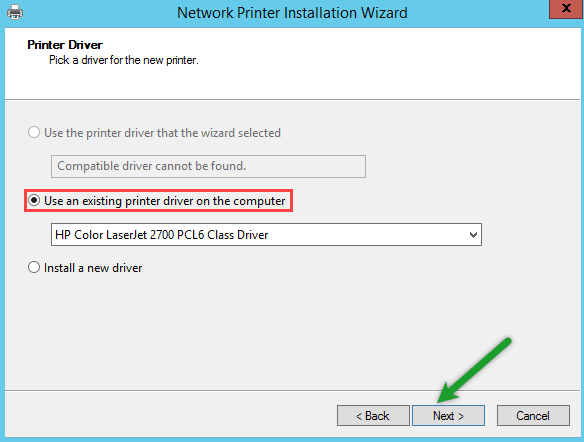 In the Printer Installation page select the Add a new printer using an existing port. Elect a port and hit Next button. 3. 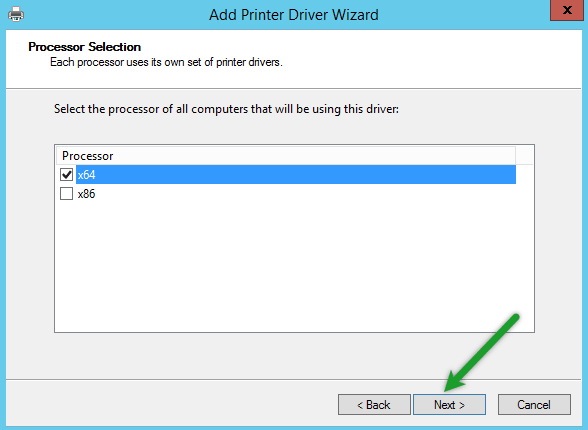 In the Printer Driver page select Use an existing printer driver on the computer option. 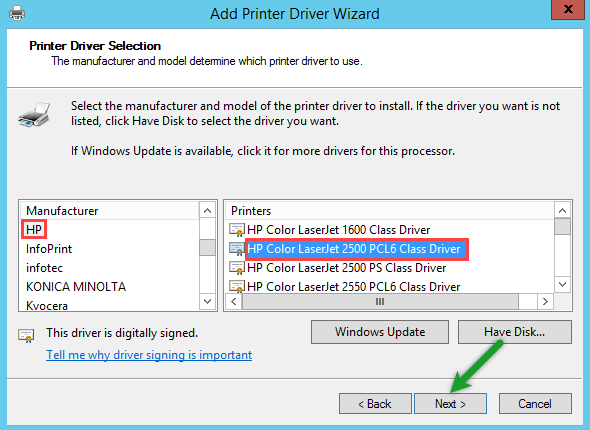 From the drop-down list select a driver that matches your printer device manufacturer and model. 4. Now you need to type a name for the printer in the box shown in the picture below. Below the Printer Name you can also see another option: Share this printer. As a result you can choose a share name and location for the printer. If needed you can leave a comment for users guidance. 5. Finally we are done with adding printer on a server. Just click on Finish button to finish the wizard. 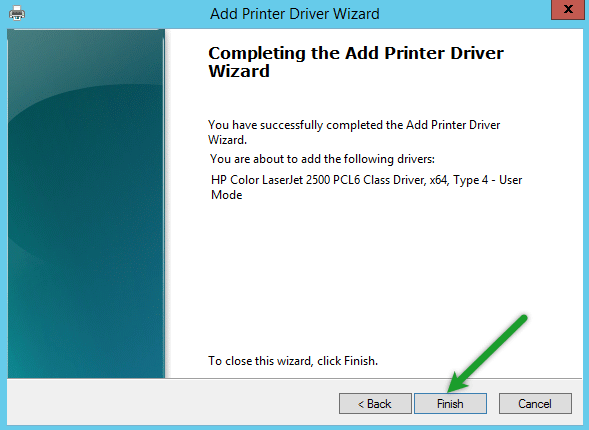 While finished the wizard you can find the printer in All Printers option in the left pane. If you would like to print a test page selecting Print a test page at the bottom of the wizard also you can add another printer by selecting Add another printer. Maybe you need different kinds of drivers for client computers to use be able to use print device. So you need to have 32-bit and 64-bit drivers. 1. First of all you need to right-click on Drivers option below the server which you want to add driver to. Select the Add driver option. 2. In the Welcome page we have nothing to do. In the Processor Selection page you need to specify which kind of processors do your clients use. You can one or both of the options and hit Next. 3. In the Printer Driver Selection page you need to specify two things. First of all you should specify your devices’s manufacturer. Secondly specify the printer model. In addition to these you have one more useful option. If you have driver on a disk, you can click on Have Disk button and find path of the source and add it. 4. We are done and the driver was added to the server. So click on Finish button due to finish the wizard. Ok, that’s all. For any kind of question feel free and leave a comment below the post. I answer you as soon as possible. Having the PowerShell commands to do this would have been helpful. So how DO you setup a printer pool with PowerShell? It seems there are websites and websites devoted to many activities, such tv, music, lives of celebrities, etc … But I truly cannot discover websites and blogs dedicated to reading, however an halt when it comes to pastimes… Anyone know some actually popular and great types? Classic and current books are both awesome with me, since I examine both… Thanks a lot so much! =o). How do you set the default printer if you manage more than one printer ? What is Print Server? 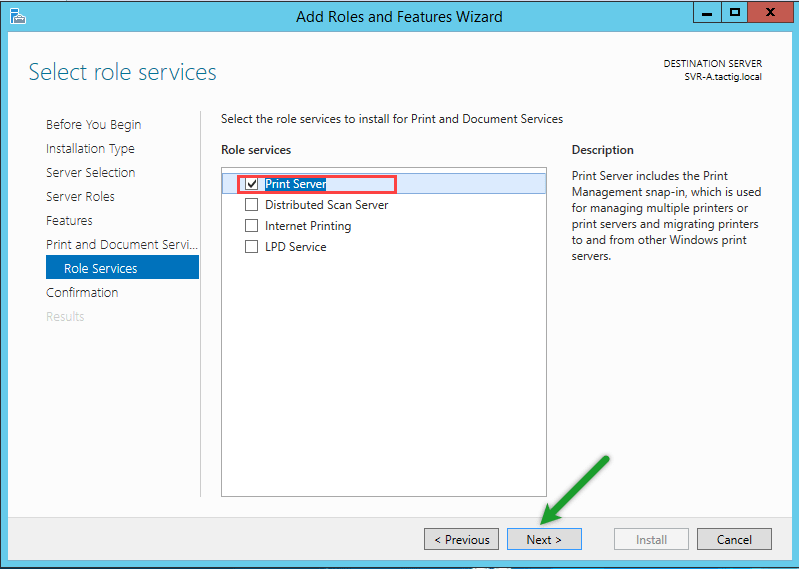 Why Do we need to Install & Configure Print Services in Windows Server ? How Client machines will access this printer?